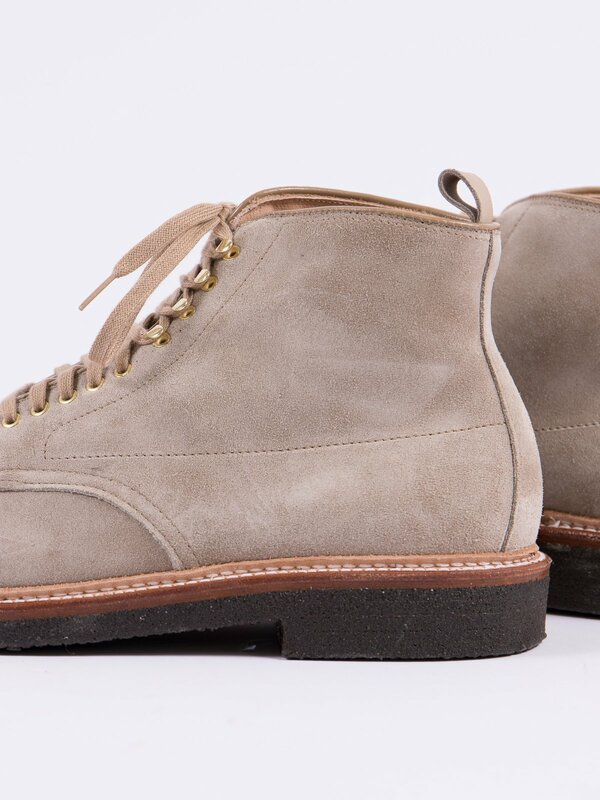 The authentic Work Boot, or the ‘Indy Boot” as it has become known thanks to Harrison Ford wearing them on film, is appreciated today for its timeless design. 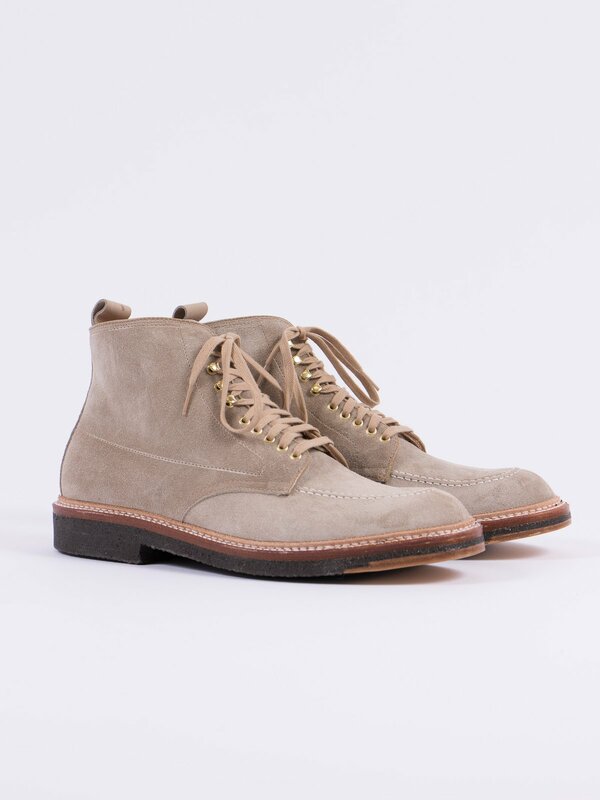 Milkshake Suede Indy Work Boot. Made to order for The Bureau Belfast. 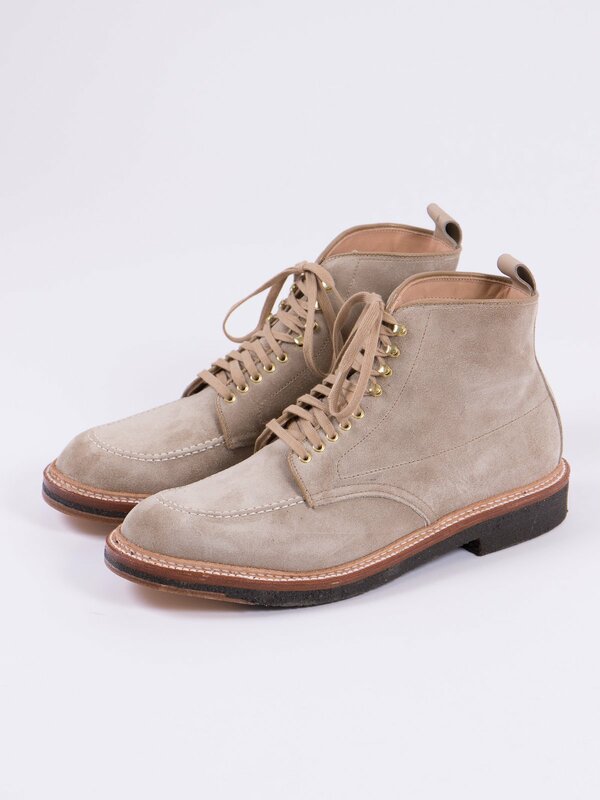 The classic Indy boot with a beautiful Milkshake suede upper, leather pull on the heel and glove leather lining. 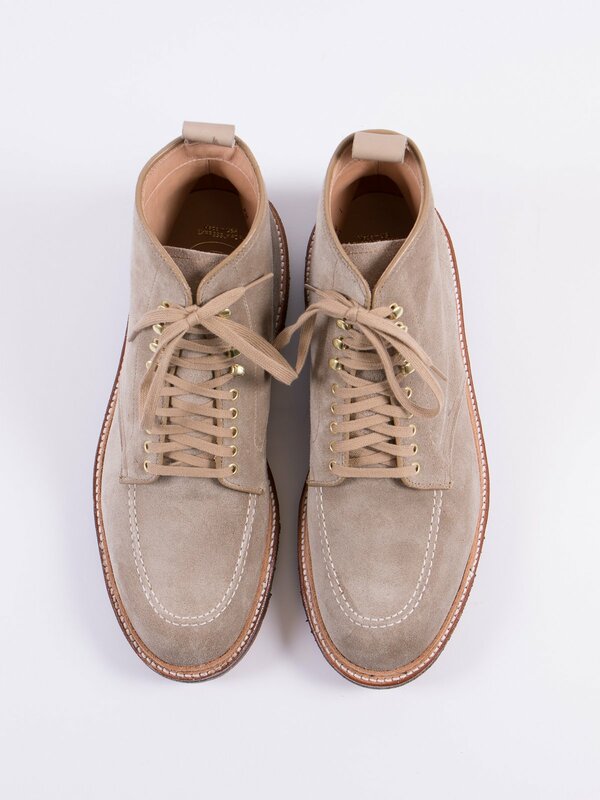 5 tonal metal eyelets and 4 speedhooks, flat cotton laces, contrast stitching on the toe, reverse split welt and a plantation crepe sole with glide leather tip and brass nails. 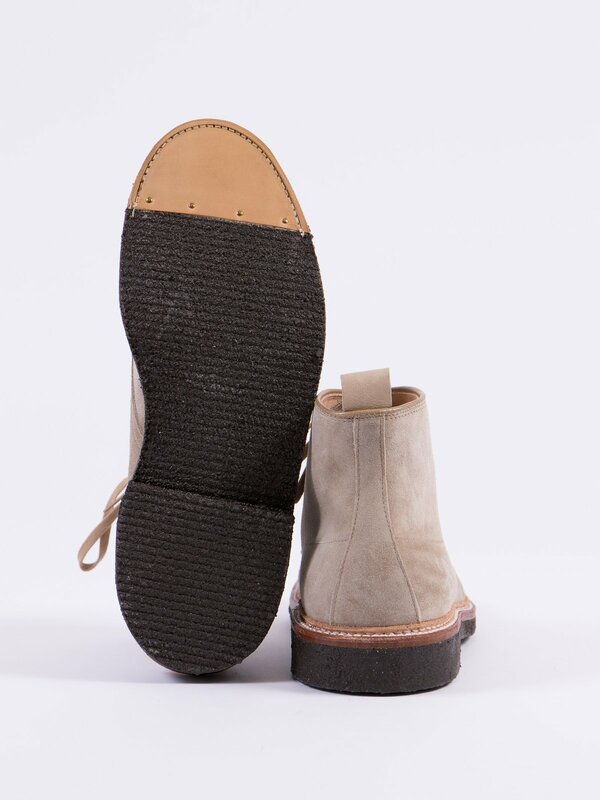 Width fitting D which is the classic American width fit and made on a Trubalance last. 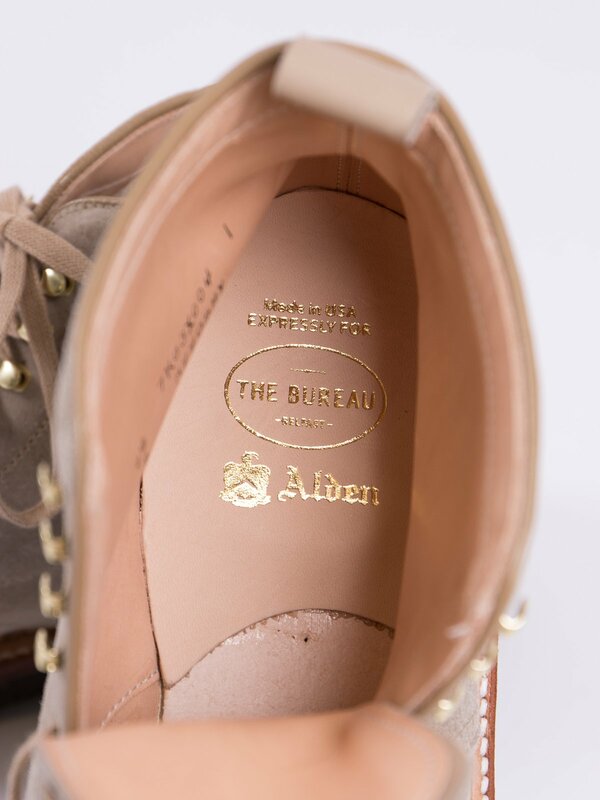 Most of our Alden’s are made on the Barrie or Trubalance last, please refer to the description above. Both of these lasts fit around a 1/2 size larger than regular US sizing. If you are a US10 then a US9.5 should fit. We use the classic American width fit D which equals a 4 in UK width fit sizing. This is a pretty universal width fit and fits most people. 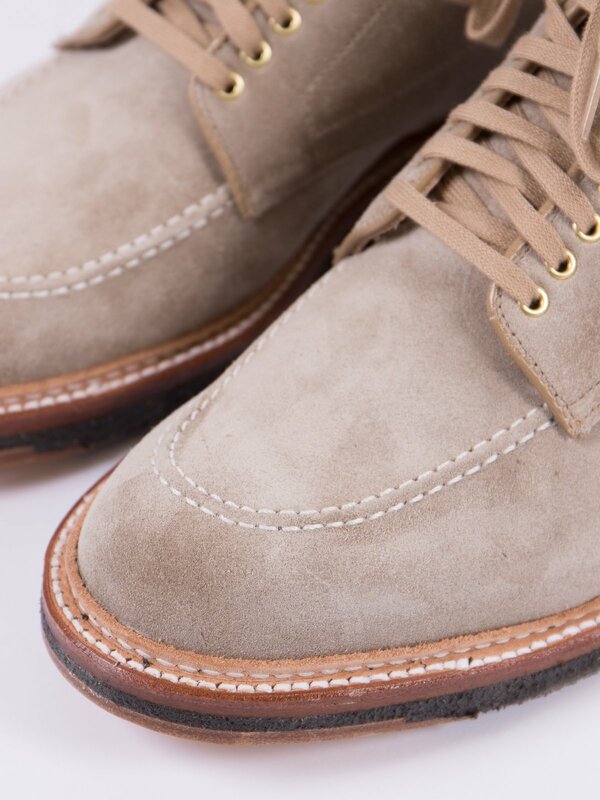 Contact us if you have any further queries regarding size – sales@thebureaubelfast.com +44(0)2890460190.